Dr. Kasey Aikin is PRISM’s founder and practitioner. Through PRISM, Kasey offers unique therapies that address a wide range of physical ailments. Kasey has years of clinic experience and holds doctorate and master’s degrees in physical therapy. Most recently she has become a faculty member of the Postural Restoration Institute where she will be teaching courses to help other practitioners further their career in the science of PRI. 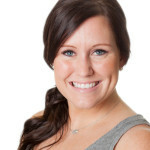 Kasey is one of just three Postural Restoration Certified therapists in North Texas. She has an amazing ability to read the human body, find obscure causes of problems that others would miss, and offer therapies that really work. Kasey is a postural restoration certified (PRC) clinician, around 1 of 189 in the world, through the Postural Restoration Institute. She has expertise in soft tissue and joint mobilization through training from the IPA and NAIOMT, functional dry needling certified through Kinetacore, and cupping and instrument-assisted soft tissue mobilization. Dr. Aikin enjoys working with all ages and has extensive experience with a broad range of diagnoses including orthopedic conditions, neck and back pain, SI joint dysfunction, headaches, pelvic floor dysfunction, and injury prevention/athletic enhancement assessments. Medical doctors, sports doctors, chiropractors, dentists, and more send their patients to Kasey for therapy. Professional athletes from the NFL and MLB put their trust in her care. So do professional ballet dancers! It is because her techniques really work. The goal at PRISM is to teach clients how to take care of themselves, not to generate recurring fees from an endless string of office visits. Many clients have their issues resolved in three or fewer office visits following an initial evaluation. And PRISM services are affordable, partly due to savings from not dealing with insurance companies. Patients (and PRISM) are saved from the insurance paperwork and hassle, and patients are free from restrictions on who they can see. Patients can get treatment from the best!